The holidays are a little brighter for dozens of Montebello Unified students and families identified as homeless, as parents picked out gifts of toys, books, school supplies, dental kits, gift cards and canned hams to give to their children as part of MUSD’s inaugural Families in Transition Gift Giveaway on Dec. 9 at Laguna Nueva School. The Families in Transition Program mission is to provide MUSD’s 972 identified homeless students and their families with support services to promote academic achievement. 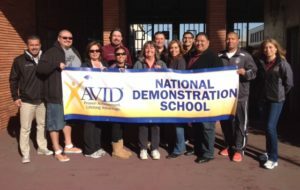 Montebello Unified’s Bell Gardens High School has been revalidated by AVID (Advancement Via Individual Determination) as a National Demonstration School, which recognizes schools that have successfully implemented the AVID College Readiness System as models for other schools. 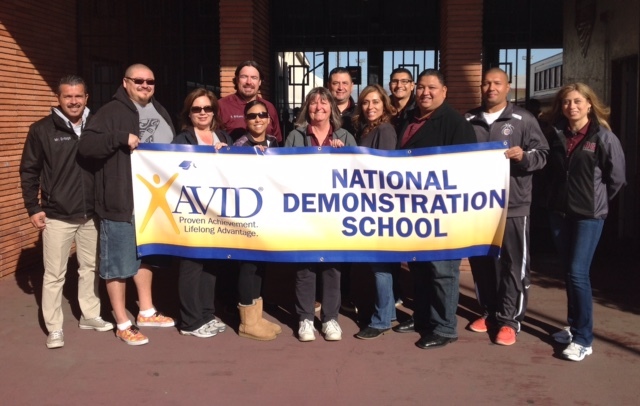 AVID was brought to BGHS in 1998 and served 32 students. The school was first deemed a National Demonstration School in 2004 and now serves about 600 students annually. BGHS has a 100 percent AVID graduation rate, conferring diplomas to all 112 AVID seniors in the Class of 2016. The AVID system has impacted the entire student population at BGHS by creating a college-going culture supported by schoolwide AVID instructional strategies and practices. 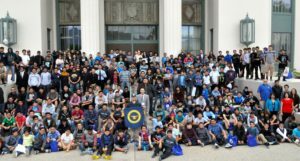 More than 600 intermediate and high school students from Montebello Unified learned from professionals about higher education, careers and personal development during the sixth annual Adelante Young Men! 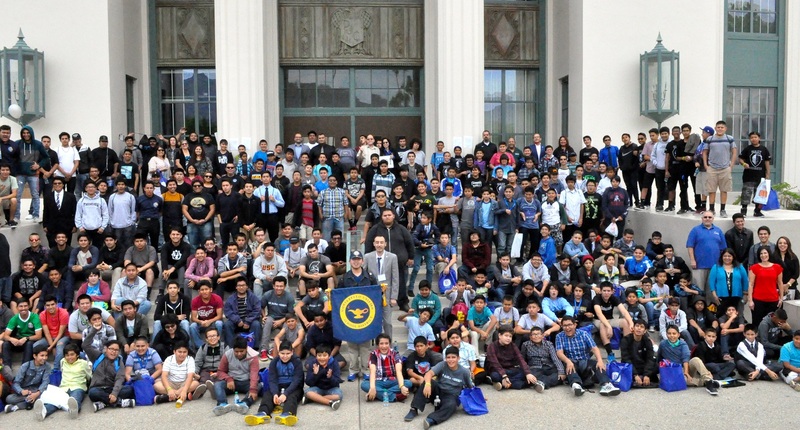 Conference (AYM) at Pasadena City College. The AYM Conference offered intermediate and high school boys the opportunity to take part in interactive, educational workshops related to issues that affect their lives now and in the future. Interim Superintendent of Schools Dr. Anthony J. Martinez served as the AYM 2016 Conference Chair and presenter while Applied Technology Center students Christian Osorio and Mark Hernandez also presented during the Nov. 12 event. Montebello Unified School District operates 16 elementary schools, two K-8 schools, six intermediate schools, four comprehensive high schools, one continuation high school, as well as Head Start and adult school programs. The district serves a diverse student population from the cities of Bell Gardens, Commerce, Montebello, and portions of Downey, Los Angeles, Monterey Park, Pico Rivera, Rosemead and South San Gabriel. Follow-up Story: The holidays are a little brighter for dozens of Montebello Unified students and families identified as homeless, as parents picked out gifts of toys, books, school supplies, dental kits, gift cards and canned hams to give to their children as part of MUSD’s inaugural Families in Transition Gift Giveaway on Dec. 9 at Laguna Nueva School. The Families in Transition Program mission is to provide MUSD’s 972 identified homeless students and their families with support services to promote academic achievement. Follow-up Story: About 80 Bell Gardens High School Culinary Hospitality Opportunities Pathway (CHOP) students showed off their culinary artistry during the school’s fifth annual Gingerbread House Village display and Posada fundraiser on Dec. 9, bringing in more than $1,000 for chef jackets and uniforms for CHOP and Regional Occupational Program (ROP) students. Guests had a difficult time fitting into the classroom during the event, sliding cautiously around the towering neighborhood of gingerbread houses and cookies that lined every inch of the room. 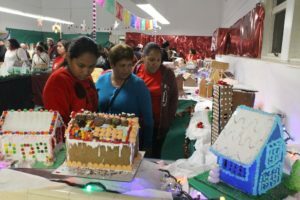 The gingerbread and frosting used to create and decorate the Gingerbread House Village was baked and mixed by the students, with some of the houses as tall as a wedding cake and taking up to a month and a half to bake and build. Montebello Unified School District will hold its annual Board of Education reorganization meeting at 7 p.m. Thursday, Dec. 8, at which Board members will choose a new president, vice president and clerk for the coming year. The District will also recognize the dedication and efforts of outgoing Board president Benjamin Cárdenas. The meeting will be held in the Montebello Unified Board Room, 123 S. Montebello Blvd., Montebello. 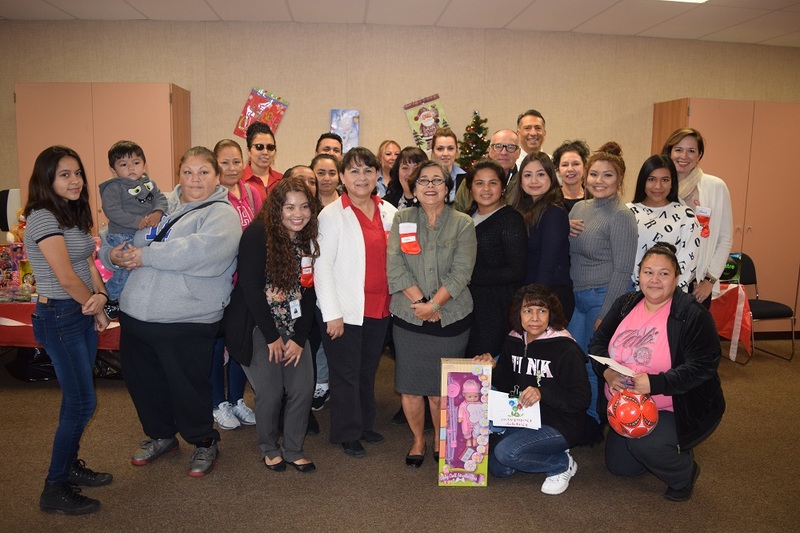 Follow-up Story: Montebello Unified on Nov. 2 unveiled its new Families in Transition Resource Center, which provides essential services and resources to MUSD students and their families identified as homeless. 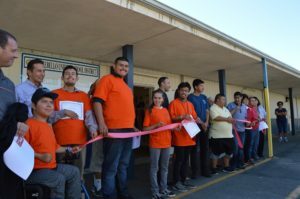 The resource center, located at the Laguna Nueva School, supplies these students and their families with daily essentials such as school supplies, toiletries, new or gently used clothing, blankets, towels, pillows and more. With 972 MUSD students identified as homeless, this is a growing project that the District hopes will help many families in the community for years to come. Follow-up Story: The significance of a bilingual education was at the forefront of everyone’s minds as nearly 100 parents and students viewed the premier screening of “Read Conmigo: A Journey to Bilingual America” at La Merced Elementary School on Oct. 25. Read Conmigo, a national award-winning literacy program that promotes English and Spanish reading through its free bilingual book program, created the film to emphasize the pivotal role parents play in their children’s education, focusing largely on the benefits both students and parents have as they simultaneously become bilingual. Photos are available. Follow-up Story: Montebello Unified kicked off Red Ribbon Week with about 400 Bell Gardens Elementary students, with most students clad in red and adorned with red ribbons for the occasion. The students took a drug-free pledge and listened as MUSD Chief of Police Linh Dinh discussed drug prevention, quizzed students on Halloween do’s and don’ts and handed out goodie bags to a few lucky students who answered questions correctly. Photos are available. Follow-up Story: Montebello Unified’s Police Department, along with nonprofit 4R Kids, 4R Future, surprised hundreds of Potrero Heights Elementary School students on Oct. 11 with athletic equipment and a lesson on the importance of physical activity. MUSD Police Chief Linh Dinh, MUSD police officers and representatives from 4R Kids, 4R Future presented students with basketballs, tetherballs, jump ropes and t-ball equipment during a morning assembly. In presenting the items, Dinh stressed to children the importance of exercise and its positive impact on health, mental alertness and learning. This is the fourth year that MUSD police has partnered with 4R Kids, 4R Future to donate supplies and equipment to District schools.